Taiwan is 160km (96 miles) off the coast of Mainland China. It is officially considered a province of the Mainland, but for all intents and purposes, Taiwan is an independent democratic country. It has its own elections, currency, flag, army and government. The official language in Taiwan is Mandarin Chinese, but Taiwanese is widely spoken, particularly by the older generation. 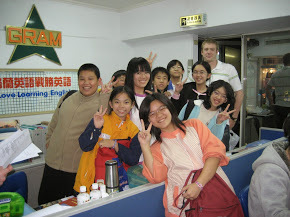 What are the main teaching options in Taiwan? Option A: Language School Positions – These positions start throughout the year, but mostly between Jan-March and June through August. – This is a great schedule if you want your mornings free to study Chinese, go to the gym, etc. – You must have a valid national Criminal Background Check that has been issued within the past six months in order to receive a work permit. – We advise that you do not fly to Taiwan on your own. The Taiwan government changed the law for ESL teachers in July 2017. The days of flying to Taiwan to look for a job are over. You must have the proper documentation to satisfy the Taiwan government’s rules and regulations for ESL teachers in Taiwan. If you arrive in Taiwan without the correct documentation for a teaching position, you could end up waiting months for the documentation to be sent over from your home country. 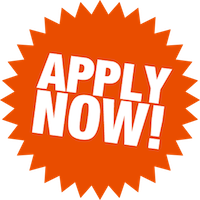 Option B: Kindigarten/Language School Positions – These positions start in Jan/Feb and again in July and August. – Your RTT advisor will want to speak to you directly about the legalities of teaching kindergarten in Taiwan. It’s your decision to decide whether or not this option is right for you. Everyone in Taiwan is paid in New Taiwan Dollars (NT$). Schools pay your salary directly into your local Taiwan bank account. Most schools pay by the hour. The standard rate of pay with all Reach To Teach schools is NT600+ per hour or more. Hourly Positions –Most schools in Taipei have switched to hourly contracts, which means you are paid for the number of hours you teach in your classroom. Hourly contracts do not offer benefits like paid vacation time and paid public holidays. The average wage is NT600 per hour. Hourly pay is the most common type of pay system in Taiwan. Schools will pay you for exactly what you teach. You aren’t paid for lesson planning or time spent grading, but teaching on an hourly basis can be a good option for teachers that are looking for flexibility with their schedules. Salaried Positions –It is becoming less and less common for private schools in Taiwan to offer salaried positions, but in August 2017, we started seeing a trend in schools beginning to offer salaried positions outside of Taipei. Schools that offer a fixed salary will require you to be at school for office hours and for teaching hours. Generally, contracts with a fixed salary include at least ten hours of office work, which is used for planning lessons and grading. These types of contracts include paid vacation time at Chinese New Year and other public holidays. Most schools pay similar rates of pay and monthly incomes will typically range around NT$50,000 – 60,000 (approximately $1,600-1,900 USD). If you accept a position that offers an hourly rate, your contract will include a MINIMUM number of hours that the school promises to give you. This is set at a minimum of 20 hours. Reach To Teach does not work with schools that offer less than 20 hours per week as anything under 20 hours is not enough money to live on. Most of our teachers teach 23 to 27 hours per week. Do I have to teach in the city? Where are most schools located? We have positions available throughout the island. We will work with you to place you at a school that best fits with your skills and preferences. Like anything else, the more flexible you are, the more options you will have. We recruit for positions year round, so you are welcome to submit your application at any time. If we feel your application is too early we may wait a few weeks or months before offering you an interview. This is because schools aren’t yet sure of their vacancies at the time you are looking to arrive. Don’t worry ~ we will keep you updated of your application status and ensure there is enough time to guide you through the interview, placement, visa and arrival process. You can apply at any time. There is no deadline for applications. However, it is best to plan as early as possible. Generally, three months prior to your anticipated arrival is ideal, but you can also apply within a week if you have your national CBC in hand. Can I apply even though I haven't yet received my diploma? Yes, but you must have your degree in hand before you arrive in Taiwan. If you have not received your diploma, please get a copy of your transcripts from your University. Then contact your University to find out when you will receive your actual degree. Please note that if your diploma is issued in any other language other than English, you will need to have it translated and authenticated. I can come to Taiwan immediately. How soon can I arrive? You can arrive as soon as we have secured your teaching placement for you and guided you through the Taiwan visa process. We’ve helped people arrive two weeks after they first applied with us, provided they have all the required documentation for their work permit. This depends on how much your monthly payments are. Most of our teachers continue their student loan payments while teaching abroad. Your salary doesn’t appear high but the cost of living in Taiwan is much lower than in your home country. Your rent will almost certainly be less than NT$10,000 per month ($340 USD), unless you are living in downtown Taipei. Be prepared to pay a minimum NT$15,000 if you want your own place in Taipei. If maximizing your earning potential is important to you, some teachers pick up private tutoring jobs on the side (NOTE: Although this is widely practiced and quite lucrative, it is also illegal. Reach To Teach does not offer or support illegal teaching positions.) Your salary is enough to live well in Taiwan and save money. What is the cost of living in Taiwan? The cost of living in Taiwan is cheaper than the United States or Canada. Costs will vary somewhat depending on whether you live in the city or country. However, your salary in the country will also be moderately lower. In either situation, your salary will be more than adequate to live a comfortable lifestyle. There will be more specific details on cost of living in your Acceptance Package. Taiwan has universal health care, so everyone receives a health insurance card. The card will allow you to visit any of the numerous health centers, dental clinics and hospitals in Taiwan. Taiwan provides excellent health care, and many teachers feel that the health care they receive in Taiwan is better than what they receive in their home country. Your school is responsible for covering roughly 75% of your monthly health care deduction. The remaining 25% is deducted from your paycheck each month. Most schools in Taiwan do not offer free housing. Some schools outside of Taipei offer housing at a reduced cost. When you first arrive in Taiwan, you will stay at a local hostel or hotel at your expense. 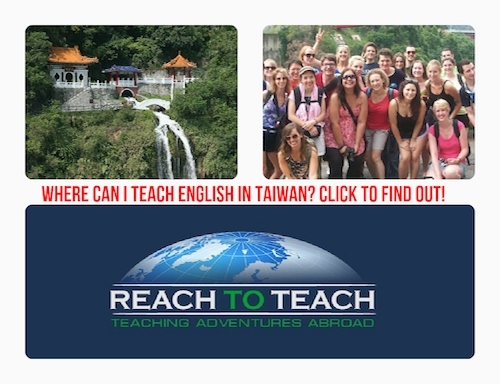 Reach To Teach can provide you with a list of affordable hostels in Taipei that are English friendly and are recommended by our teachers. If you are outside of the greater Taipei area, your school will help you find a permanent apartment which you find to be comfortable and agreeable. Most teachers are able to find housing in Taipei within walking distance of their school. If you are placed outside of Taipei, you will definitely be within walking distance of your school unless you choose to live elsewhere. Note that if you plan on teaching in Taipei, schools in Taipei do not typically provide much assistance in terms of helping teachers get set up with an apartment. There is a massive expat community in Taipei, but that means it’s typically fairly easy to find a roommate or a room for rent. Most teachers find an apartment within two weeks of their arrival. Where can I find housing in Taiwan? Check out the Looking for Roommates or Apartments in Taipei and Taiwan group on Facebook. This group was created to help people in Taipei and the rest of Taiwan to connect with folks that are looking for a shared apartment or a new roommate. We also have a helpful page on finding housing in Taipei. Can I apply for my visa to come to Taiwan before I have secured a teaching placement? South African teachers must sapply for a visitor’s visa at the TECO office in South African. As of November 2012, residents of Canada, England, New Zealand and the United States are granted a 90-day landing visa upon arrival in Taiwan. Schools in Taiwan do not secure an employment visa for teachers when they are in their home country. Teachers come in on a visa exempt status. Your school will then switch your visa exempt status to a Visitor Visa while you are here. Then they will start the process of applying for your work permit and ARC. Changing your status from visa-exempt to a visitor visa does not require you to leave Taiwan. Schools are not responsible for the cost of your health check, which is required for your work permit and ARC. Schools also do not typically cover the costs of your work permit and ARC, although some international schools will offer this as part of your salary package. The cost of your health check is approximately NT$1,710. Your school will then switch your visa exempt status to a visitor visa while you’re in Taiwan, and then apply for your work permit and ARC. Learn more about how to do your health check in Taipei here. Typically, the total cost of your documents is between NT$8,000 and NT$10,000 in total. Do you place couples in Taiwan? It has become difficult for us to find positions for couples in Taiwan due to schools that are not within hiring distance of each other and availability. If you wish to apply as a couple, the best time to secure positions with us is in June and July. We typically only have a few schools in Taipei each year that will hire couples, and we very rarely have positions outside of Taipei that can accommodate couples. With that said, on average, we have been placing 3-6 couples during these months each year. How much vacation/holiday time will I have? You will have all national holidays off. If you work at a private school, your national holidays are unpaid. If you are working within the public school system, teachers enjoy paid National Holidays and paid time off each summer. Additionally, schools close for a week during Lunar New Year (generally the end of January or early February). We recommend that you do not ask for time off during your first six months of employment. How is the food? Will I like it? This is a subject everyone can agree on: The food in Taiwan is varied and fantastic. The shabu-shabus’s, BBQ food, fresh seafood, different varieties of tofu, teppanyaki and even strange exotic food like snake’s blood and bird’s nest are just a sampling of the extremely large Taiwanese palette. Food is plentiful and extremely cheap. Wandering the night markets and sampling the varied specialties of each food vendor is a great experience. You can also find any Western food in Taiwan, though you will likely have to pay “home” prices for it. McDonald’s, Subway, Hooters and other Western chain restaurants can all be found in Taiwan. Higher end restaurants such as Morton’s Steakhouse are also to be found. Is my flight to Taiwan paid for or at my own expense? Most schools do NOT pay for your flight. However, some schools offer a completion bonus at the end of your one year contract. This bonus is typically at least as much as the cost of a flight. How much are flights to Taiwan? This depends on when you are traveling and how far your journey is. Busy vacation times can increase the price. How will I be able to obtain my working visa? When you arrive in Taiwan, your school will help you to change your visa exempt status to a visitor visa. Once you have completed your health check in Taiwan, your school will submit your documents to the CLA for your work permit. When your work permit has been issued, you will submit your documentation to the NIA for your ARC (Alien Residence Card). The schools that we work with in Taiwan are fully licensed schools and they are able to sponsor their teachers for a work permit and ARC for the duration of your contract. You must have a clean national Criminal Background Check from your home country in order to receive a work permit. Reach To Teach does not place teachers at schools that cannot offer a work permit and ARC. I've heard there are legality issues concerning working in Taiwan. Do you have more information on this? 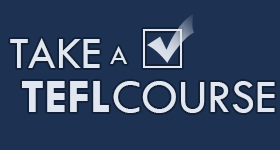 The laws concerning English foreign teachers in Taiwan may seem complex. For example, some teachers like to work additional hours at other schools, but technically you can only work at the school which is sponsoring your ARC. If you choose to work outside of your work permit limits, you do so at your own risk. Additionally, it is illegal to teach kindergarten in Taiwan. However, thousands foreigners do so without any problem. Whether or not to work at a kindergarten is a decision which every teacher needs to make for themselves. Our friendly and informative staff will go over teaching options with you in detail during your first interview with us. Can I break my contract? If unavoidable circumstances are involved, yes, you may have no option but to break your contract. However, if the teacher breaks the contract for their own reasons, you will be forfeiting your completion of contract bonus and you may be asked to reimburse certain costs. How will I pay taxes as an American citizen abroad? What is the tax rate in Taiwan? Your tax rate will be at an 18% rate until you have been in Taiwan for 183 days in a calendar year. 183 days is approximately 6 months (half a calendar year). After accumulating 183 days, the withholding tax rate drops to between 6%-15%, depending on your salary rate. Where can I find more information about teaching and Taiwan in general? Visit our Taiwan links page, you should find plenty of useful web sites there. There are so many things to think about! Where do I start? – Prepare your resume, cover letter and recent photo. – Your photo should be job appropriate. Please give some thought to what you send as. Your photo goes on your teacher profile package which is then sent out to our client schools. Please send us a headshot or a photo of you with kids. Please don’t send us photos where we can’t see your face clearly or a photo that doesn’t relate to your desire to teach abroad. – Your cover letter does not need to be long but it should express your interest in Taiwan and the reasons you feel you are the right person for a teaching position. It should also highlight any strong preferences you may have (although we would encourage you to remain flexible if possible). For example, if you wish to only be located in a specific town/city, etc. Your photo should be a recent smiling picture – as we like to see you look friendly and approachable! A full length photo is preferable to a headshot. – Check your passport to see if it is valid for 12 months or longer. – If you don’t yet have your University diploma/degree, find out when it will be sent to you. That date will mark the earliest time you feasibly can arrive in Taiwan. – Submit your application! We will guide you from there. In Taiwan, the school will organize your collection from the airport. Either a manager from the school will pick you up or the school will hire a taxi service to pick you up. When you enter the Arrivals Hall, look for your name written on a placard. Your school representative or driver will bring you to your school or lodgings.